On monday i was in the office re-arranging some vintage magazines when i came across something that excited me no end. 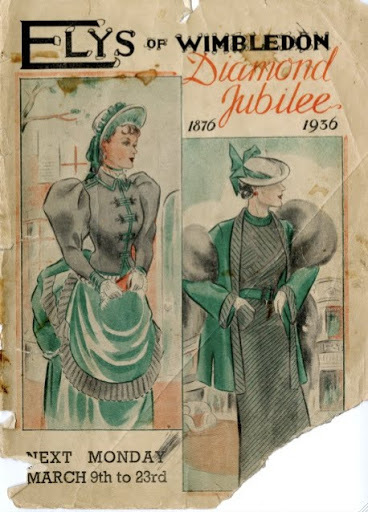 What i stumbled across was a 1936 brochure celebrating the diamond jubilee of Elys department store in Wimbledon. 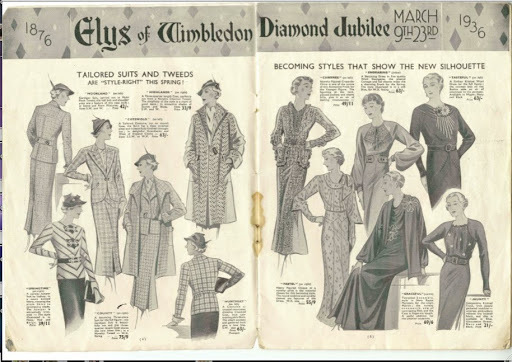 Documenting the first 60 years of its history and some of the fashions of the day which were on offer. It was so i nteresting to find a little bit of my local history down in Hampshire. I know there are some of local friends *ahem Ellie Budd* who may be interested by this! There are just a few pics here, but i will upload the whole lot to flickr.